[UPDATE] This is a post I created a few years ago and it became fairly popular so I feel it’s necessary to point out one fact I didn’t know back then. The average fluorescent bulb is usually in the 4300K range of light temperature, which would be considered green. If you are trying to mix this light with daylight (which is towards 5600K) or tungsten (which is towards 3200K) you may want to invest in proper video fluorescent lights. Do a search on Google and make sure you look at the color balance of the light. One of the the many parts of my new job is being DP (director of photography) on most of my shoots so lighting is very important to me. I have lots of great equipment to work with at work so I don’t feel like spending tons on lighting equipment for my personal work. That said, I still like to have something descent to work with. 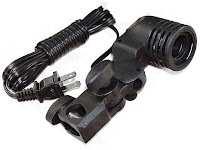 Basic clamp lights and umbrella lights are okay but a good softbox lets you control light much better. 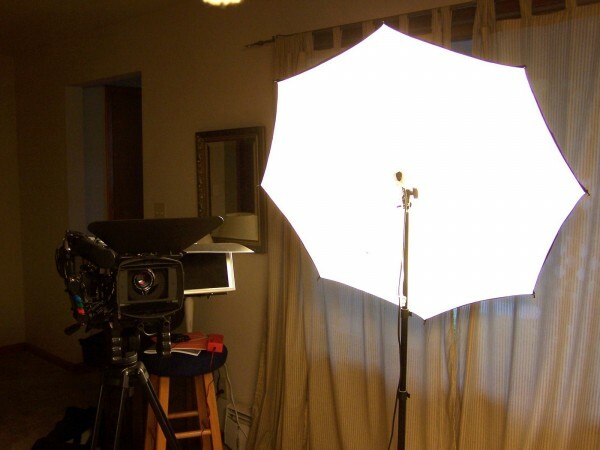 Unfortunately softboxes often run several hundred dollars a piece. I did some serious hunting on ebay and came up with a cost effective setup that really works great. Please note: Since most of these items were bid on, you may not get the exact same price I did. This setup will give you two of your main lights out of the standard three-point lighting kit: the key light and back light (hair light). You will probably still need to get a third light as a fill light depending on your ambient lighting. You can invest in another light stand and umbrella softbox or just use a clamp light or basic umbrella light. Since the fill light is meant to fill in any harsh shadows that the key generates, it doesn’t necessarily need to be as controlled as the key light. 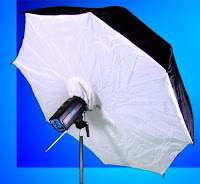 Now this isn’t the most perfect setup and it may not work for everyone, but it is an inexpensive route to get some quality lighting equipment. The light boom stand can also be used as a mic boom stand if you don’t have a person around to hold your mic boom over your head for your shots.